The coordinated terrorist attacks that killed more than 120 people in Paris are dominating the agenda as leaders of the world's 20 biggest economies meet in Turkey. 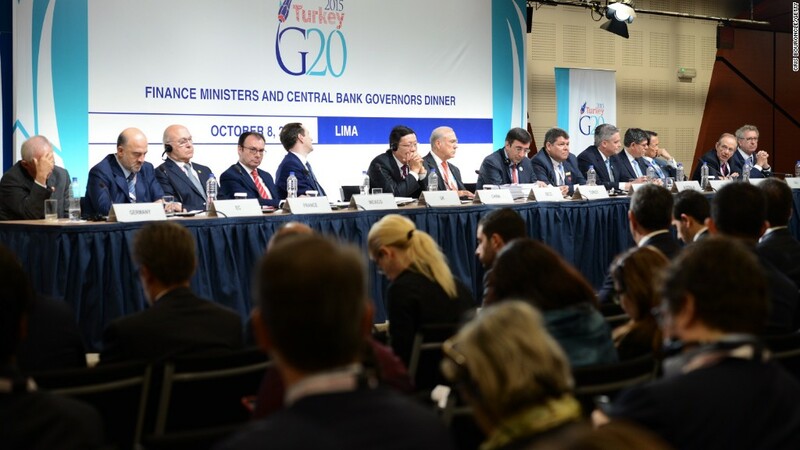 The leaders of the G20 were originally set to discuss terrorism and the refugee crisis over a working dinner on Sunday, after major talks on the global economy and growth. But the horrific events in Paris took over the program. "We here at the G20 summit are sending a resolute signal that we are stronger than any form of terrorism," German Chancellor Angela Merkel said. French president Francois Hollande is the only leader missing at the summit. He canceled the trip to focus on the situation at home. He is represented by French Foreign Minister Laurent Fabius. The leaders observed moments of silence at the start of the meeting. President Barack Obama and Secretary of State John Kerry are attending the summit. Speaking ahead of the meeting, Obama said the U.S. will redouble its efforts to eliminate ISIS. "The killing of innocent people based on a twisted ideology is an attack not just on France, not just on Turkey, it is an attack on the civilized world," Obama said. The U.N. secretary general Ban Ki-Moon, also at the summit, said the gathering was "happening in somber times that required unity of action." The refugee crisis in Europe is high up the agenda, amid fears that Islamic extremist group ISIS is making good on its pledge to hide operatives among the wave of refugees fleeing Syria. One of the terrorists responsible for the attack in Paris has traveled to Europe posing as a refugee. But some leaders have already warned against rejecting refugees in reaction to the attacks. "The one responsible for the attacks in Paris cannot be put at equal foot with refugees and asylum seekers and displaced people. He is a criminal and not a refugee and not an asylum seeker," said Jean-Claude Juncker, the president of the European Commission. Some G20 countries, such as Germany and the U.S., want Turkey, the host country of the summit, to do more to protect its border with Syria.